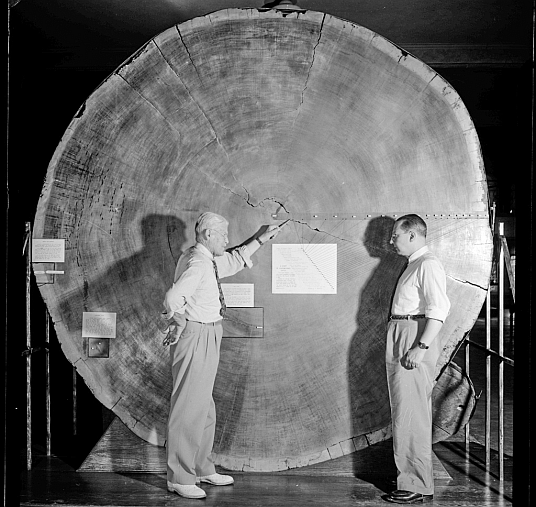 Edward Schulman (left) discusses the rings of a giant seqouia sample with a colleague at the Laboratory of Tree-Ring Research. 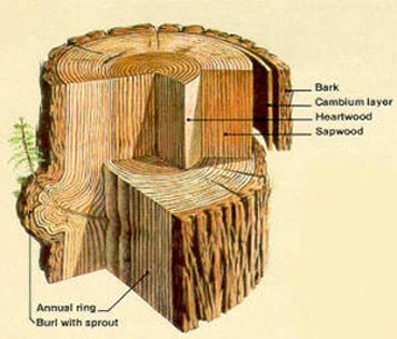 Courtesy of Laboratory of Tree-Ring Research, The University of Arizona. Anatomy of a red oak. 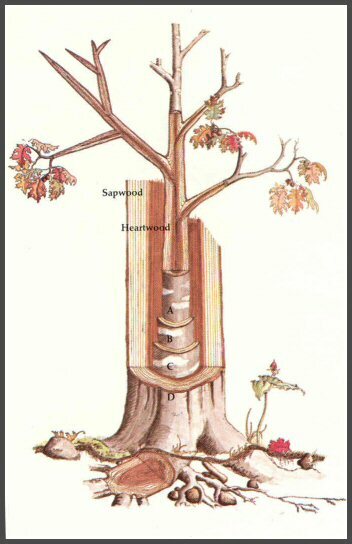 The appearance of the tree with bark when it was: 8 years old (A), 10 years old (B), 12 years old (C) and 22 years old (D). Redwood bark. Courtesy of the National Park Service.